1. Are you worried that something is hindering your destiny ? strong>2. Do you want restoration and redemption of things you have lost in the Past? 3. Do you want to be justified by God, of all your Past mistakes by activating the blood of Jesus? 4. Do you think that you might have been under a curse that needs to be broken? There is hope for you. 5. Have you ever thought that there might be reasons why most of the things you started in life never get consummated? We will be having a time of deep repentance (starting from the 20th of September) on a daily basis for 10 days, this will be followed by a celebration of our redemption and justification by the blood of the Lord Jesus Christ from all that has and could stand and hinder our destiny on the 30th of September 2017. Miracle crusade in Japan, with Apostle David E. Taylor on August 12th to 14th 2016, at Nakano Zero Hall. Come with your problems, and Jesus Christ will fix it for you!!!. It is going to be an encounter with the Lord Jesus Christ. Face to Face with the Lord Jesus is come to Japan already. We are going to continue to grow powerfully in this end-time glory. It is not an anointing, it is the glory of God visiting the people of Japan face to face (What the anointing cannot do, the glory, and presence of God will take care of!). Do not be left out of this!!!! "At the mountain the LORD spoke to you face to face from the heart of the fire." "The LORD spoke to you face to face from the fire on the mountain." The LORD talked with you face to face in the mount out of the midst of the fire. 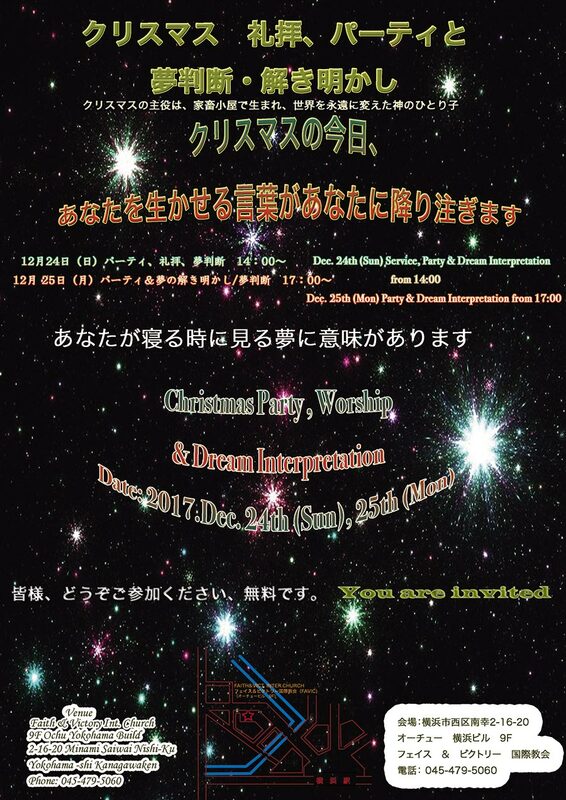 Your host is Dr. Naoki Atanda (Psy.D), and Committee members of David Taylor Miracle Crusade Japan, with Dr. Okuyama Minoru as the Crusade Chairman. Get ready, King Jesus is paying another visit to Japan!!!! Give generously towards the successful hosting of Apostle David Taylor meeting. David Taylor Miracle Crusade meeting planned for Yokohama on the 13th and 15th of May 2016 is cancelled. The meeting in Nakano Zero Hall will however take place as planned from the 19th to 21st of May 2016. Miracle crusade in Japan with Apostle David E. Taylor on May 19th to 21st 2016 at Nakano Zero Hall. Come with your problems, and Jesus Christ will fix it for you!!!. It is going to be an encounter with the Lord Jesus Christ. Face to Face with the Lord Jesus is come to Japan already. We are going to continue to grow powerfully in this end-time glory. It is not an anointing, it is the glory of God visiting the people of Japan face to face (What the anointing cannot do, the glory of God will take care of!). OVERSEAS MINISTRY page Now Updated. Rev. Gwajima is a humble man of God that is being tremendously used in the Tanzania. His Church keeps growing and knows no bounds. Over 200 dead has been brought back to life through the ministry of this wonderful man of God. The gift of working of miracles is always in operation as the spirit leads. We therefore want to encourage you to come together with your friends, and family members as we spent time praying for our nation and then receiving from this wonderful man of God. The Word of God will go forth, miracles and healings will go forth, there will answers to financial problems, in addition there will deliverance for our Nations too. You are invited to join us for our End of Year all Night Prayer Meeting Let us usher the New Year in in His presence!!! The word like-passion means similar or of equal rank, feelings or affections, meaning that the word-Passion, here is used to refer to Elijah's nature as a human being. Meaning that he did what he did stopping the rain from falling for 3 and a half years, not because he was a prophet, or a super human, but because he, as a human being has learnt to embrace the necessary discipline needed to overcome those human feelings, affections, and emotions that stops most of us from praying to get result. We therefore want to encourage you to come and put this discipline into practice by joining us to pray for the nations of the world, on the 16th, of September, 2013. Elijah knew how to pray and get result even for national issues, not only prayer for his own personal life. 16th International Prayer and Prophetic Network meeting! FaVic is looking for a new hip-hop dance teacher! Join us in praying for your nation and other nations of the world. We focus on praying for the nations of the world, please come in person or send in your prayer topic for your nation. 1999. 7 Jinbo-cho Faith & Victory International formed the Shining Light Gospel Choir as the exclusive choir of the Church. The first Director is Aki Maeda. 1999. 12 Jinbo-cho Gospel concert held in the church for the first time. 2000. 4 Aqueduct Live outdoors for the first time in front of the Aqueduct. 2001. 3 Jinbo-cho Started recruiting members from outside the church. Koji played piano, and his wife Megumi Awano as the director. 2004. 5 Kawaguchi Activity resumed. El welcome Raymond Lewis as the director. 2006. 1 Kikuna Activities were moved to the new location in Kikuna. 2007. 5 Yokohama Activities transfered location to Yokohama. 2008. 9 Yokohama Hosted the first ticketed concert. 2009. 9 Yokohama Welcomes Elyan as the new director. 2010. 5 Yokohama Start the morning DaySpring Gospel Choir. Shining Light Gospel Choir Network blog is here. Most songs are divided into the Alto, Tenor and Soprano part. We learn and practice how to harmonize as we sing both contemporary, traditional, worship gospel songs. We sing wide varieties of songs from Worship songs, to R&B, and other contemporary gospel songs. Most of our practice songs recorded and distributed to each individuals for practice. This makes things convenient for everyone. We do not use music sheets most times (though they might be available, as learning by ear is encouraged), this also makes it possible for people who cannot read music sheets to be able to participate in the class. You also have the opportunity to record your individual part to take back home so that you can further practice at home. This is a refreshing time with teachings lasting about 10 minutes. Teachings are generally on life important issues, like self-esteem, how to develop good relationship, how to become who you are meant to be etc. We often use this time to also explain the content of the lyrics of the songs to the class too. We are all encouraged to bring a recording device, such as a MP3 recorder or other devices to record your individual part (alto, soprano, or tenor) to practice at home. Since the class is being taught by a professional gospel music minister. The participation fee is \5,000 per month for one person. Copyright © 2016 • Faith and Victory Christian Ministries • All Rights Reserved.